Whether your decorating taste tends to traditional elegance or is more on the rustic side, lavender can be a fresh addition to your holiday decorating. 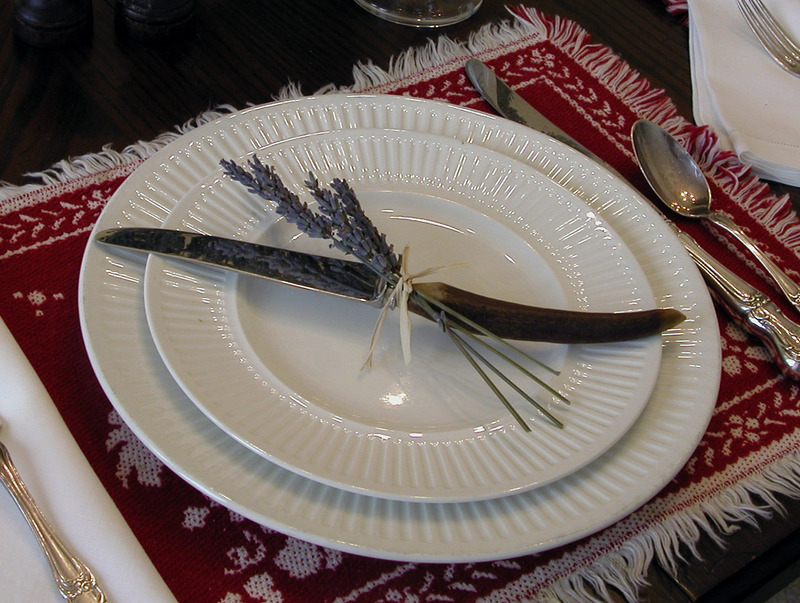 Dried lavender provides a wonderful, natural blend of organic softness and architectural structure to a table-scape. 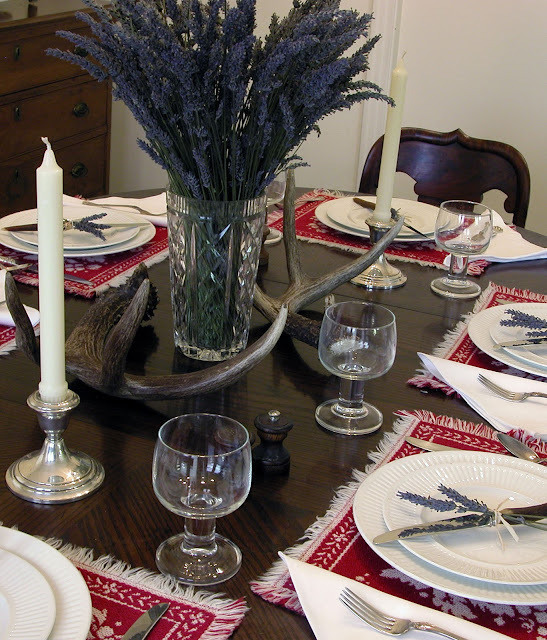 It's visually strong enough to be its on in a large vase for a bold, simple look, or use a variety of small containers and vases of varying shapes and sizes with a few stems in each for an entirely different look. Paired with other flowers or greenery, lavender brings textural and color variation. To incorporate lavender at each place setting tie a small bunch around the napkin with fancy ribbon, simple twine or punch a hole in a place-card and weave a single stem through. 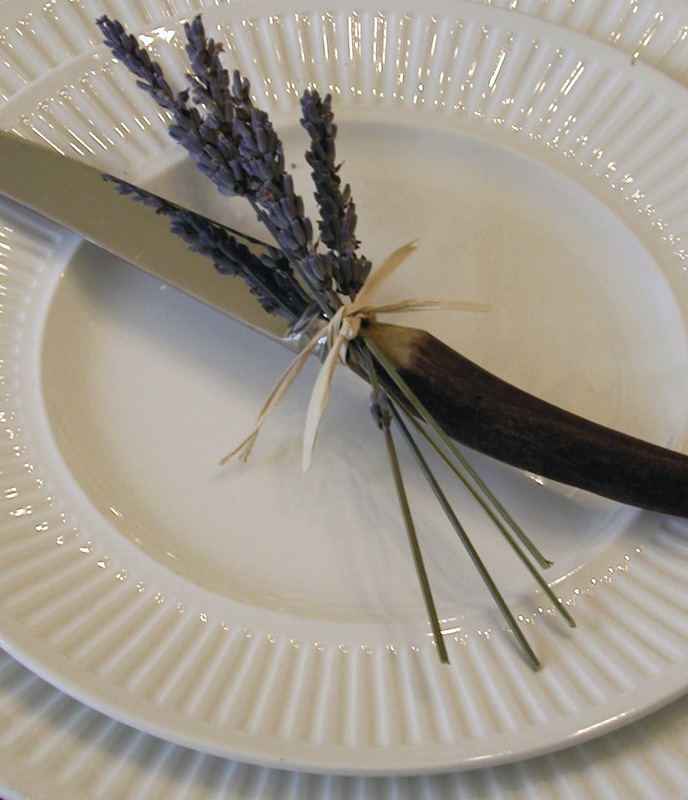 Take your lavender table a step further by adding a little lavender to the menu. Keep it simple with our ready to use Lavender Gourmet Hot Chocolate or follow a holiday recipe from our Lavender Cookbook like Lavender Herbed Leg of Lamb or Lavender Cranberry Sauce.